Stella Stage is now released! Talk about the game and it's gameplay here. Confirmed today at PlayStation Press Conference there's a brand new 765 AllStars idol raising live game! A few hours afterwards there was a nico live stream held called Stella Channel which gave us more information. The game releases December 21st 2017! New song is ToP!!!!!!!!!!!!! 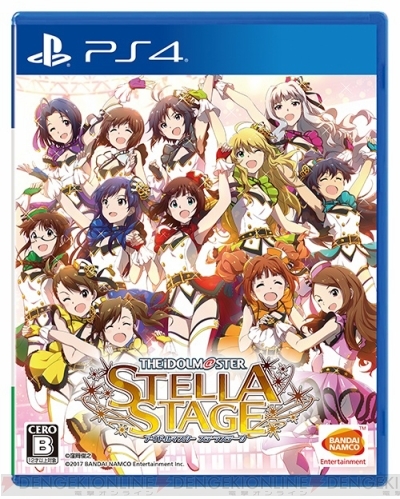 Big news is there are NO more P Drops, and DLC bought from Platinum Stars carries over to Stella Stage! From 7/28/16 to 10/27/16 Bandai Namco has a survey open for people who purchased Platinum Stars to give their opinion on the game. You must play for at least 5 hours to apply. You'll also need a Japanese Bandai Namco ID. Q1: Where did you find out about the game? Check all that apply. Q2: Of the above which most influenced your purchase? Q3: Tell all the reasons why you bought this game. Q4: Of the above reasons, which most influenced your purchase? Q5: Choose which package you purchased. Q15: For those who purchased the Platinum BOX please tell us how satisfied you were with the included bonus items. For those who don't apply go to question 16. Q16: Did you know about the 3 free PS4 themes and did you download them? Q17: For those who picked the first 3 options on Q16, did you buy a PS4 for this? Q18: Which is your favorite character who appeared in this game? Q19: How likely would you purchase the next iM@S game? Q22: Select what applies for the games below. Q23: Which platforms did you play and make purchases for? Q24: Which platforms do you most often play (free games included)? Q25: Excluding this game, how many games have you bought brand new in the past year? Q26: How often have you visited game centers/game corners (arcades) in the past year? Q27: Choose your region of residence. Q30: Enter your education level/occupation. This is for posting about the PLATINUM MASTER series of CDs for the PS4 game Platinum Stars. 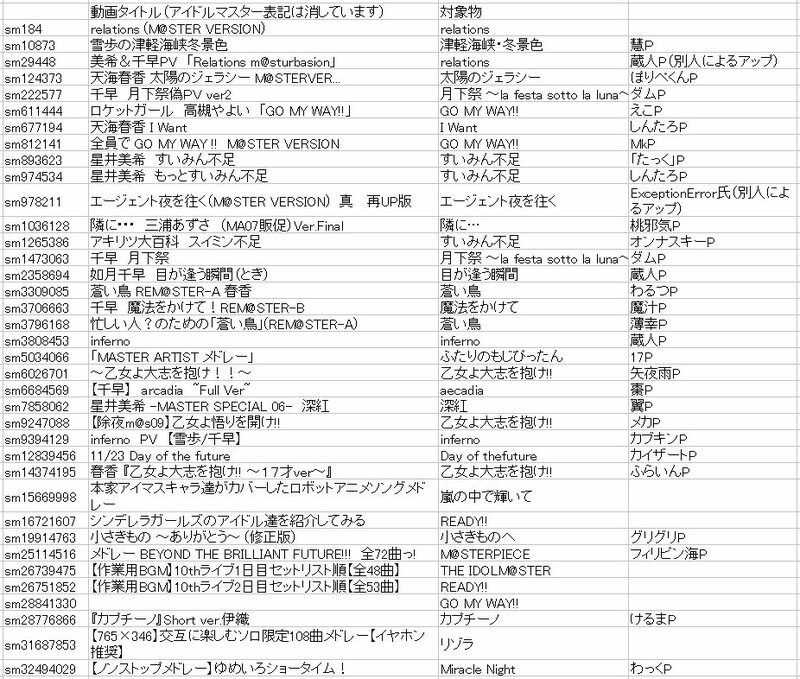 Other iM@S discussion / English iM@S account? I've come across some overseas groups of some other idol series, and I was wondering if people here would be interested in creating a similar thing. This way it'd be easier to share translated content in one place even for smaller channels, and maybe other English fan content too. I'm not sure which platform it'd be on yet as not everyone uses facebook. I figured with the increase of interest coming from Deresute and the PS4 title it'd be good to have a thread for new fans and old fans alike to ask any questions they might have about the series. Also for any new lurkers you can post as a guest without an account by replying normally and filling out the captcha. Source is this blog post. Currently trending on twitter in Japan. While it's kinda of a niche title, thanks to the link on the wiki I was able to find footage of all of the idols uploaded to nico under these two tags. I realized there wasn't really a thread on this topic, so I decided to make one. This thread is for posting any interviews, past or present.